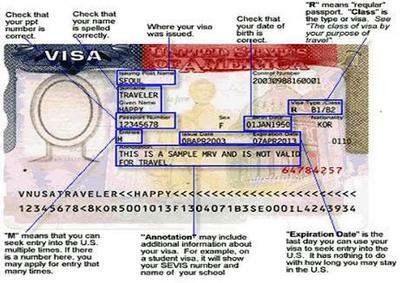 As the US Embassy will tell you, if you are visiting the USA for business or pleasure, transiting through, doing seasonal work, journalism or even for special events, you need what is called a Non Immigrant visa. The following are four (4) simple steps to apply. As you can imagine though, the bulk of the effort is in number 1, that is, Preparing the Documentation, but rest easy, this how to guide will attempt to make it much easier for you via simple step-by-step instructions. Bear in mind that all non immigrant visa applications must complete the DS-160 Electronic Visa Application Form. This step by guide is a neat, summarized version of this form. Note that the online application may take upwards of 45 minutes, depending on how readily available your information are and your internet connectivity. 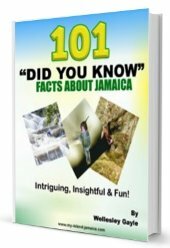 Read the instructions and select 'Jamaica' or the country in which you are apply. Note: Save as you go along. Answer Question - Are others with you? Name a contact in the USA who can verify your identity. Answer Question About Immediate Relatives in the USA? List Work History (last 5 years). Provide SEVIS number, if Student. State where intend to study, address, course etc. Not that you cannot make changes after submitting the application. Click on the 'Edit Information' to make changes. Note the Additional Information (to DS-160) For Families, Students etc. Domestic Worker, Employment contracts (B1, A3, G5 visa), crew (C1/D visa), and journalists (I visa): A letter from the employer verifying details of employment, and a letter from the inviting organization in the U.S., if applicable. Note that you must complete the DS-160 before paying the fee. You can pay the fee by credit card online via this link. You may also pay at any National Commercial Bank using a slip obtained online. You will need to bring a copy of the confirmation with you to the live interview. Visit https://jm.usembassy.gov/u-s-citizen-services/appointments/ or call 876-632-7400 to do so. Note that they usually advise you after the interview if you were successful or not and how your visa (stamped in your passport) will be delivered. If this information was helpful to you, please let me know below. Lot's More 'How To', Visit our resource page for more. I just want to know if i am volunteering in the US. Would it be the same application for the ds-160 I use or is there a specific one i should use. I've updated the link my friend. Please review. Why am i unable to access the form through the link provided, information was clear and understandable but the link for the form doesn't work. Instructions were clear and helpful. Thoughtful and accurate. Clarity at its best. Thank You!! Very helpful step by step directions. I just wish there was a way to apply not online. My man lives in Hanover, and has no access to internet.